Investing in a new piece of software always requires a lot of time and research to make sure you’re making the right decision and picking the perfect product for your team and your business as a whole. This eBook is designed to make the decision-making process a lot easier by showing you all the different elements you should consider when embarking on your training management platform buying journey. Find out all the different ways Administrate’s training management platform can specifically help training companies improve how their business runs. To integrate or not to integrate? We’re here to show you why integrating your training management platform is the option that makes the most sense. Shopping around for a new training management platform? We have the 7 key features that you need to look for! Training management software isn’t just for training companies, it’s also an amazing asset for training departments, and we’re here to show you how! Once you’ve invested in a training management platform, how do you make sure your staff are using it effectively? We’ve got some great tips on measuring employee engagement so you know you’re getting the most for your money. The two main things a training management platform can give back to your business are time and money! We take a look at what the Return on Investment could be for both these categories! Not to toot our own horn, but we do think we’re the best training management platform out there for training professionals. Let us tell you why! Learning Management System Vs. Training Management System: Which Is The Best For Your Organisation? 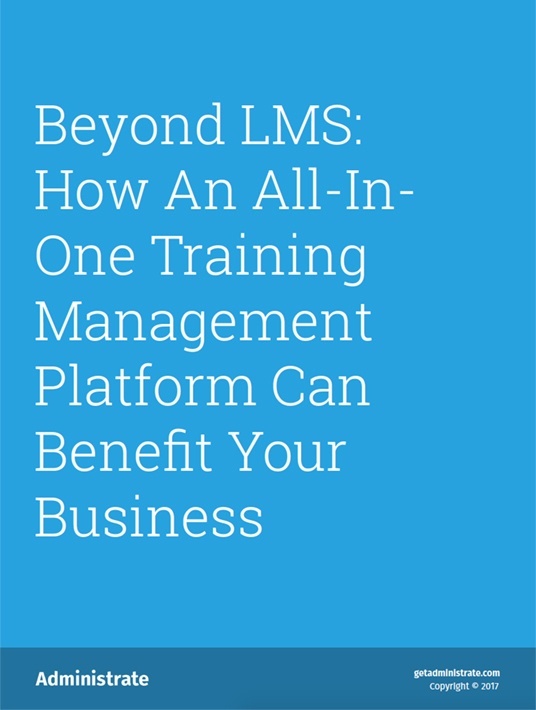 Not sure whether a LMS or a TMS would be the best product for your business? Check out our comparison to help you make your decision. Implementing your training management software into your business is the first step to ensuring it is successful, so you’ll want to read our tips to make sure the whole process is as smooth as possible. Training management platforms not only help organise your training offering, but they can also help improve your internal training as well, by allowing you to do things like create amazing corporate eLearning content. Not sure if you’re ready to make the move to a training management platform? Perhaps your staff are already making it clear that they need the software to be successful. Read our list of things to look out for! A training management platform is good for your business for a number of reasons, but did you know it can also help with staff retention? See how having the best tools at their disposal can encourage staff to stay with your company! Making the move to any new piece of software can be a stressful time, as you and your business will be used to a certain way of working. But fear not! A training management platform is designed to make your life much easier, and handle as many of your administration tasks as possible! If you’re not yet convinced as to the value a Training Management platform brings to the table, look no further. Training Management platform advantages, important features, tips as well as ROI will help you realize how integral it is to any training program.